Ever notice how you can’t use a drive-thru at a fast-food restaurant if you’re on foot? A blind man is suing McDonald’s in a class-action suit for violating Title III of the Americans with Disabilities Act of 1990 (ADA) because he was unable to use their drive-thru during late-night hours. Scott Magee is a blind Louisiana resident who, when he tried to order food from McDonald’s, claims he was laughed at and refused service when he tried to order the food from the drive-thru window. The basis for his claim? Well, that McDonald’s doesn’t allow equal access to the goods and services they provide during late-night hours. The only reason Magee was using the drive-thru window was because the indoor portion of the restaurant was closed for the evening. McDonald’s has a standing policy that walking pedestrians are not able to use the drive-thru windows, which is presumably for employee safety reasons. Now, you might be thinking this lawsuit sounds crazy, but the man may actually have a point. Magee claims the policy is discriminatory because, since a customer cannot physically enter McDonald’s restaurants during late-night hours, the drive-thru is the only means upon which a customer can order and purchase McDonald’s products. Further, he argues the drive-thrus offer no meaningful accommodations for visually impaired customers. Since a customer cannot physically enter a McDonald’s restaurant during late-night hours, the blind are excluded from accessing McDonald’s products during late-night hours. Does It Really Deny Equal Access? Currently, McDonald’s has not taken any steps to accommodate visually impaired individuals to access their goods and services during late-night hours. 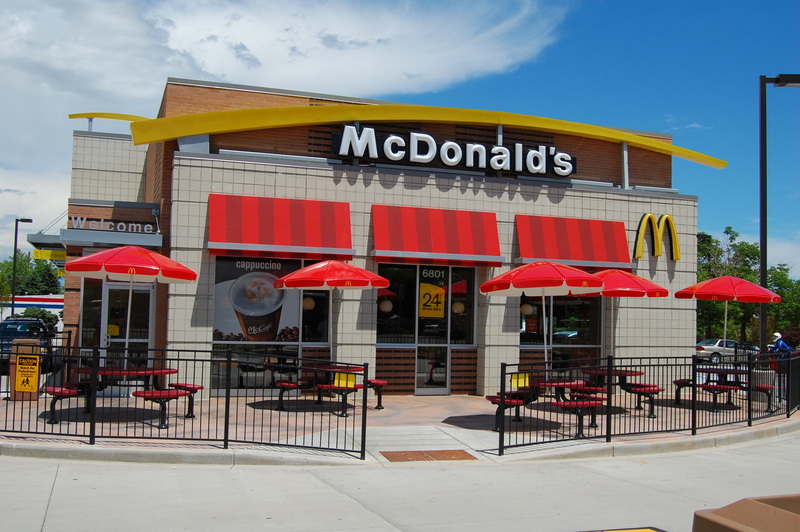 Although McDonald’s doesn’t have policies in place facially discriminating against the blind, in application, Magee has a legitimate claim that the policy does actually discriminate. When you consider that Magee would otherwise be able to enjoy the benefits and services of McDonald’s but for his visual impairment, then the policy does in effect deny him equal access. Customers that have no visual impairment can look, order, and purchase McDonald’s products during late-night hours without having to rely on the assistance of others. A blind person, however, must rely on another person to 1) drive them to and through the drive-thru and, 2) assist them in selecting and purchasing the food. 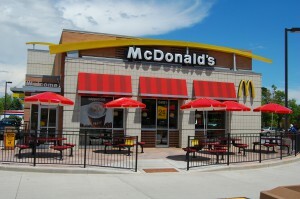 Magee claims that because of the size of the McDonald’s corporation, the company has the ability to utilize some of the advanced technology that is available in today’s society to make the appropriate accommodations for the blind and visually impaired. Obviously, there are thousands of McDonald’s across the country and any change, even a relatively small one in nature, could have an impact on the company. In order for McDonald’s to get out of this one, the company needs to prove any changes would be an undue burden or that any of the changes needed to be made to the drive-thru in order to accommodate the visually impaired would actually alter the goods and services offered. The latter would be a pretty hard argument to make. So, would it be an undue burden? Magee’s solution, according to his attorney Roberto Luis Costales, is for McDonald’s to allow customers to call in their orders and allow employees to deliver the food to the callers outside. Now, McDonald’s could argue it would be an undue burden to allow all customers to call in their orders, but if the policy only applies to those that cannot use the drive-thru via motor vehicle, then the impact would be relatively small, even if it was expanded to others with disabilities that prohibit them from driving. Adding auxiliary aides to the drive-thru windows or perhaps changing their policy slightly would not change the nature of McDonald’s business, nor the goods and services they offer and, further, despite the thousands of stores across the country, it wouldn’t be an undue burden to make a few small changes for the visually impaired. « Should Police Officers Be a Protected Class Under the Law?